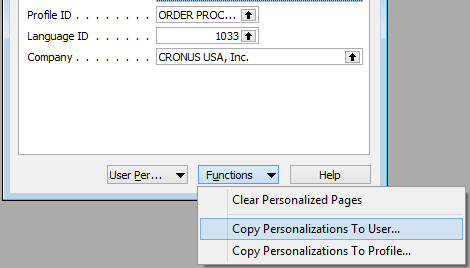 When users personalize their Microsoft Dynamics NAV 2009 RTC experience, they’re not just making their work easier. They’re giving system administrators a treasure trove of productivity tweaks that could be of great benefit to other users in the same functional role. The challenge is, unless those users report those customizations or the admins of the team take a proactive approach to interrogating their users about changes, that valuable efficiency is never capitalized on. With this customization, you can easily copy those customizations from one user to another, or from a user to a profile. This could be particularly helpful during implementations or upgrades, where key users may make extensive improvements during training. Those customizations, once at that Profile Level, can be exported and loaded into a production environment. Do you have this modification available for NAV 2013 or NAV 2015? I’m working on this topics for my customer. Could you give more information about that ?